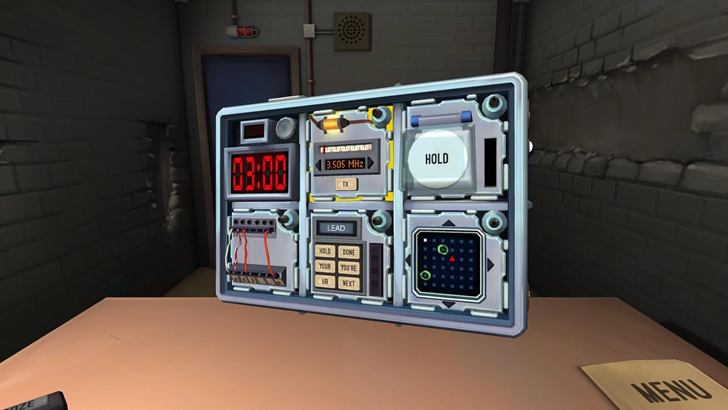 Keep Talking and Nobody Explodes wasn't originally designed to be played in VR, but the tense atmosphere combined with a little immersion works quite well. The basic setup is this: the primary player has access to a briefcase-shaped bomb with multiple tiny panels, each one a simple but tense puzzle. He or she can access any of the segments at any time, but there's no indication on how to actually diffuse them. 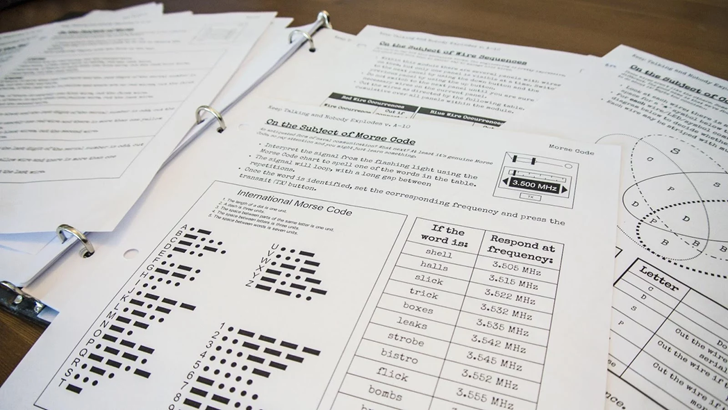 The secondary player reads from a "bomb defusal manual," a free PDF distributed by the developer. (The second player doesn't need a VR headset, or any device at all if you can print out the manual.) Based on variables like manufacturer markings, serial numbers, and LED readouts, the secondary player guides the primary player through a series of painstaking steps and checks to clear each segment and shut down the bomb before the timer expires. Unfortunately the game is only for Daydream, not standard phones or tablets or other competing head-mounted VR systems, so right now it's only playable by Pixel and Pixel XL owners. The price is $10 with no in-app purchases, a $5 discount versus the Steam version. Developer: Steel Crate Games, Inc.